It’s a reality that selling your house through a real estate agent means that you will have to pay their fees commissions when the house sells. The listing agreement details those fees and how they will be collected through escrow at the title company. It is a sort of partnership where as the homeowner takes all of the financial risk and the real estate agent gets paid if and when the house sells. It really doesn’t matter whether they get full asking price or if you accept an offer that is discounted, you are going to pay the commission whether you are happy or not. When I started to write this article it was because I wanted to uncover the many different Commissions and fees you have to pay for real estate agents , their brokers and because this information will help you decide whether to work with a real estate agent or to sell your house directly to an investor. Think about it this way… A Real Estate agent is a salesperson and it is their responsibility to try to find a buyer for your house. 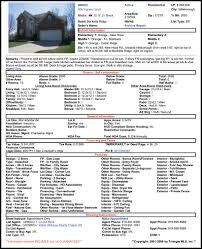 In order to do this, they list your house in a multiple listing service and use various marketing efforts to try and find the right buyer. At the same time your listing is broadcast to all other agents looking for houses for their buyers. It sounds like a great match-up doesn’t it? Not so fast. It is a numbers game for real estate agents and their focus is rarely on your listing itself because as listing agents they rarely represent both the buyer and the seller on any transaction. It may also be the reason that over 40% of all real estate listings go unsold or expire during their initial listing agreement period which on average is 6 months. That means a whole lot of risk for the homeowner and very little risk for the real estate agent. It may also be the reason that the overall satisfaction with real estate agents and their performance is generally negative. That is a lot of money for a less than 60% chance that your house will sell. The single largest fee paid is the real estate commission. It is paid at the the closing provided that they can sell your house. (Real Estate Commissions often total about 6% of the sale price of the house, or about $6,000 for a $100,000 house). There may be other fees you have to pay as well, and these might include different advertising fees or other costs associated with selling your house. There are also numerous closing cost and fees from the title company that can be as high as 3%. We recommend that you ask the real estate agents you interview about these and they will provide you with a proposal and “net sheet”that details the various fees that will need to be paid. This is the part that shocks most homeowners: if you sell your house to a real estate investor, there are most often no fees to pay. Investors will usually take care of all fees associated with selling your house. Plus there’s no real estate commission to pay because they’re not real estate agents. Real Estate Investors are not listing your house, they buy it. You might be responsible for a percentage of the closing costs but this depends on the investor so make sure you ask the investor who pays for those costs. The largest fee that you might NOT be thinking of: when you work with real estate agent, they’ll want you to repair and update your house. They will provide you with a list of work that needs to be done before it can be listed. The second hidden fees are the bills and taxes that you have to pay for as long as it takes the agent to find a buyer and close the transaction. It can be a time consuming and costly process. These are known as your holding cost and they can add up fast. So although this isn’t a fee paid to the agent, it’s a cost you’ll have to pay because of the agents involvement. When you sell the house to an investor, they buy quickly so you end up saving these cost as well. So what’s right for you? 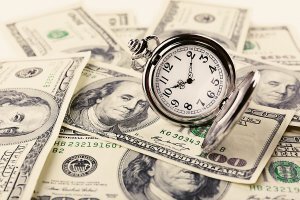 It depends on how much you’re willing to pay to put your house on the market and how quickly you need to sell. 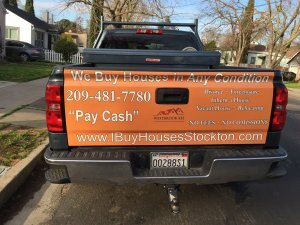 If you want to go over this in more detail or confirm that we won’t charge you any fees if you sell your house to us then please call us at (209) 41-7780 and we’ll be happy to walk you through it. We’re happy to give you more information about our buying process and to share with you exactly how it all works. Click here and enter your information or pick up the phone and call us at (209) 481-7780.